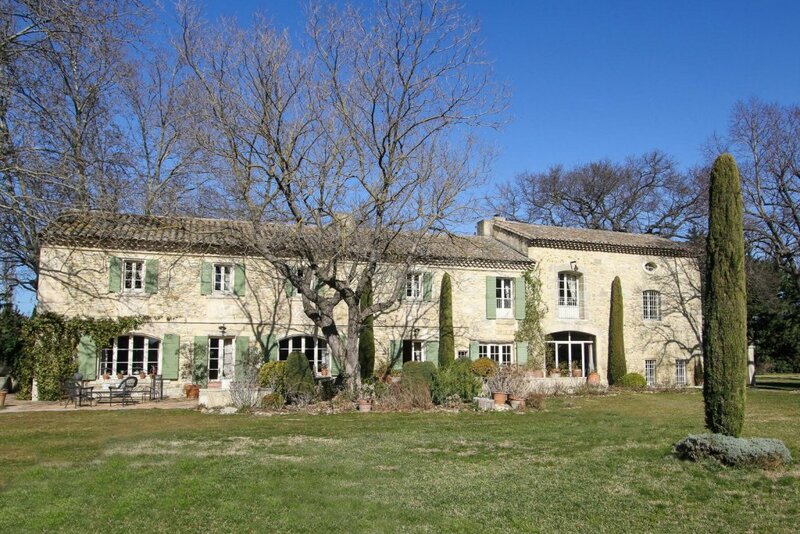 5 mins from Saint Remy de Provence and 15 minutes from Avignon TGV station, the beautiful eighteenth farmhouse on 10 acres. Completely renovated in 1992, the current owners have lovely retained its old soul. The ground floor consists of a suite of living rooms: living room, dining room, main kitchen and secondary kitchen, office and laundry. On the 1st floor you will find the sleeping area with 7 bedrooms. Caretaker’s home. Outbuilding. The park is decorated with 700 olive trees, a 13×6 pool with pool house. Character property in a rural setting. Contact us for further details.